Ever bride-to-be knows that a pre-wedding beauty ritual or two come with the nuptial territory. I owe mine to my my sis-in-law, Sarah, she gave me the recipe for what is the best facial exfoliant, ever. Half of a lemon (squeeze the juice out), 2 tbsps of salt, and as much sugar til it gives you a thick exfoliator consistency. I’ve done it three times now – and not even with freshly squeezed lemon juice – and I find it to be the perfect exfoliant which leaves my skin super soft and radiant. And my skin is annoyingly sensitive (talking dry, flaky in the winter, random break outs of ezcema on my neck) so when I tried this and it not only suited my skin, but made it look better I was in love. You can customize the consistency to your liking (I prefer thicker) and the combination of the salt, sugar and lemon gives you a zesty, rigorous scrub so that you actually feel like its working and doing something, which is confirmed after you dry your face and feel how it has instantly become so soft! 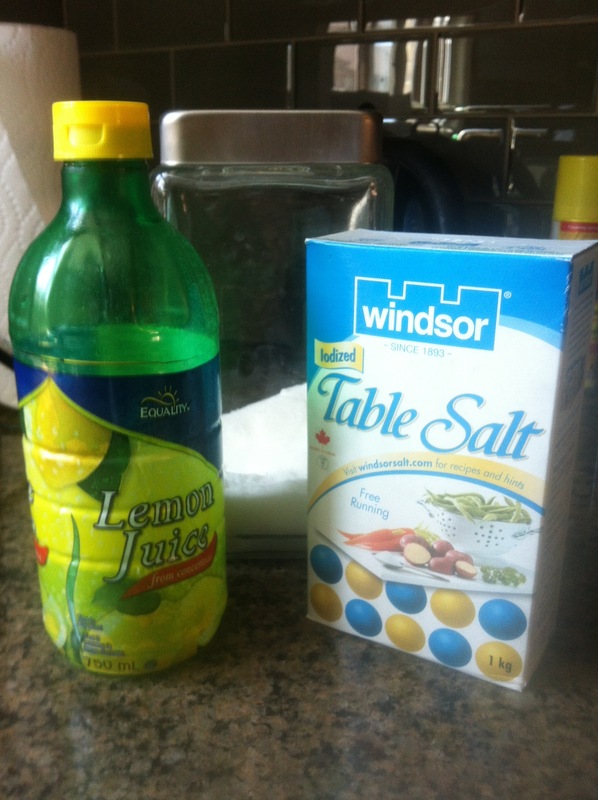 I highly recommended trying this cheap and easy scrub at home! And after let me know what you think!